In addition, the UW-Madison Department of Horticulture is associated with numerous facilities that students can contact regarding research opportunities. Students interested in specific Horticultural research can contact their advisor or specific faculty members about doing research in one of our labs. 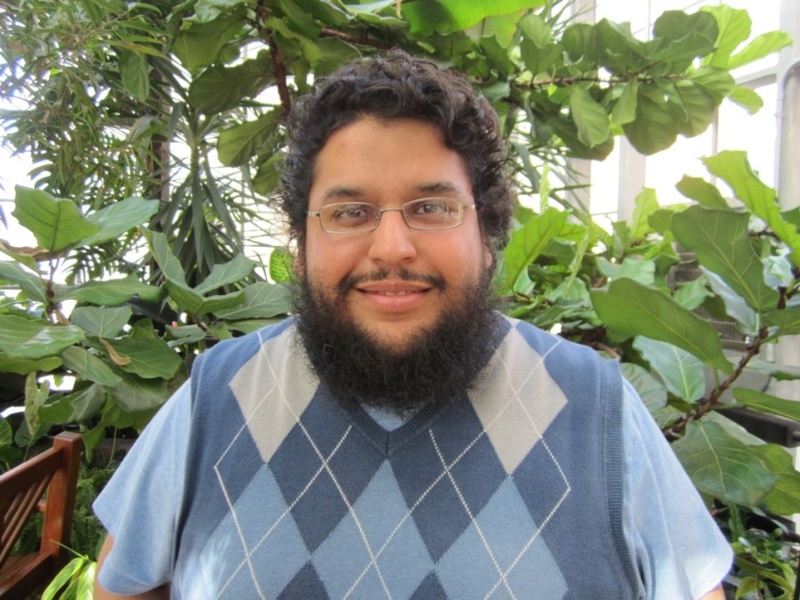 Congratulations to Dr. Juan Zalapa who has been selected to receive the Council for Opportunity in Education‘s 2013 National TRIO Achievers award. 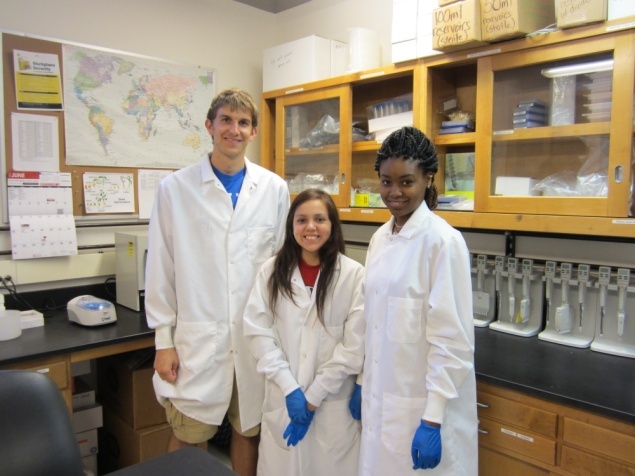 TRIO programs includes the Ronald E. McNair Post-baccalaureate Achievement Program (McNair Scholars program) whose mission is to prepare eligible low-income and first-generation college students and students from groups that are underrepresented in graduate education for doctoral studies through research and other scholarly activities. 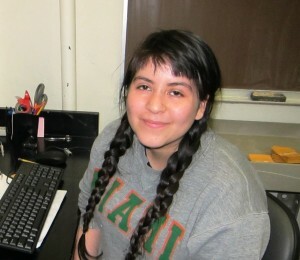 Read more about the awesome undergraduate research that students are doing in Juan’s lab below. 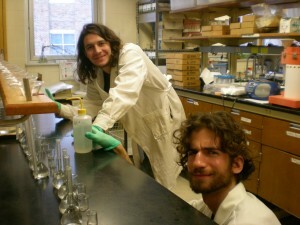 Here are a few of the projects our undergraduates are working on. The Hilldale Undergraduate/Faculty Research Fellowship supports undergraduate research done in collaboration with UW–Madison faculty. 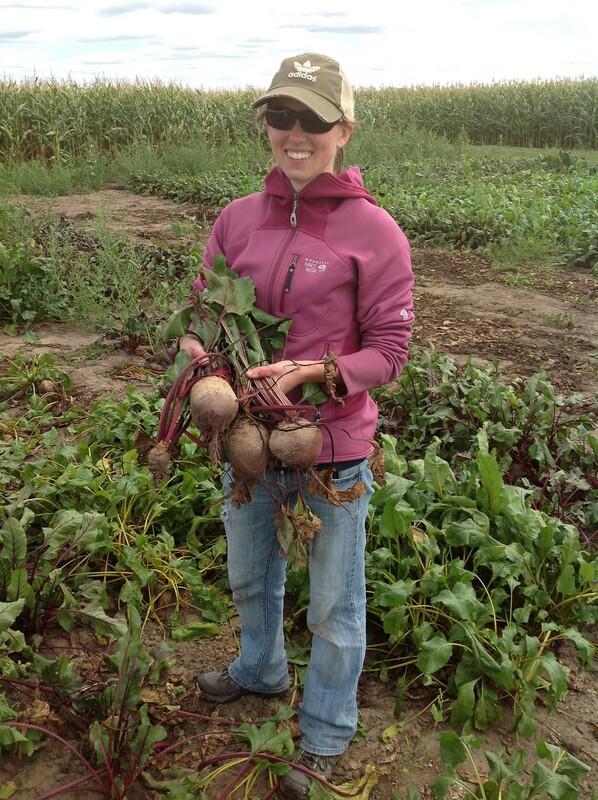 “Skipping the Beet” using in situ vernalization to streamline breeding cycle and seed production of carrot, onion, and table beet. Important food crops such as carrots, onions, and table beets are biennials; they require a minimum of one to two years to complete their growth cycle. 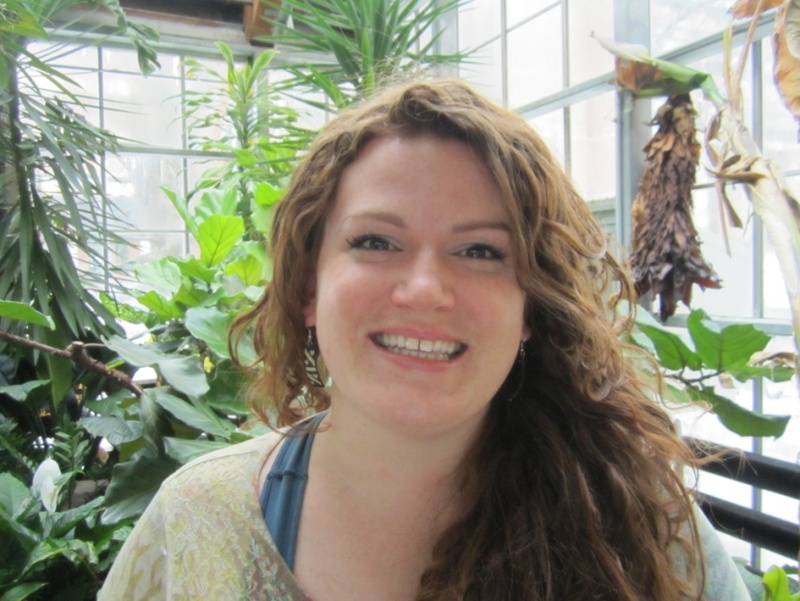 This time delay is detrimental to researchers who work on plant breeding and seed production. In order to streamline the growth cycle, researchers cold-treat (or vernalize) the roots for 6-8 weeks and then plant them in the greenhouse, where they flower. Currently, the cold-treatment process allows researchers to shorten the plant breeding cycle of important biennial food crops to approximately 12 months. 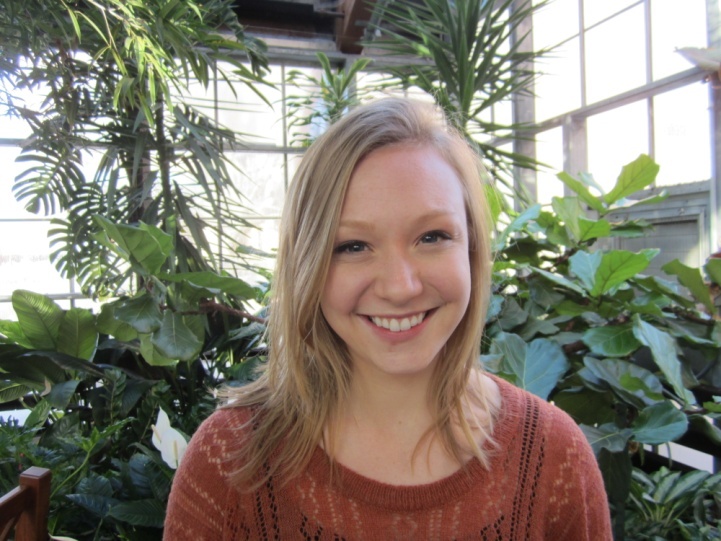 Lauren is working to make the breeding and seed production cycle more efficient by cold-treating the plants while they are seedlings (in situ vernalization), thereby making them competent to flower even without producing a root. 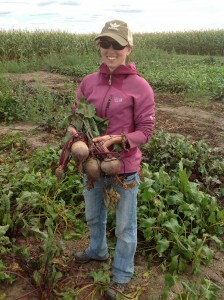 In a sense, you could call this process “skipping the beet” because researchers do not need a root in order to get the plants to go through their reproductive cycle for breeding and seed production. 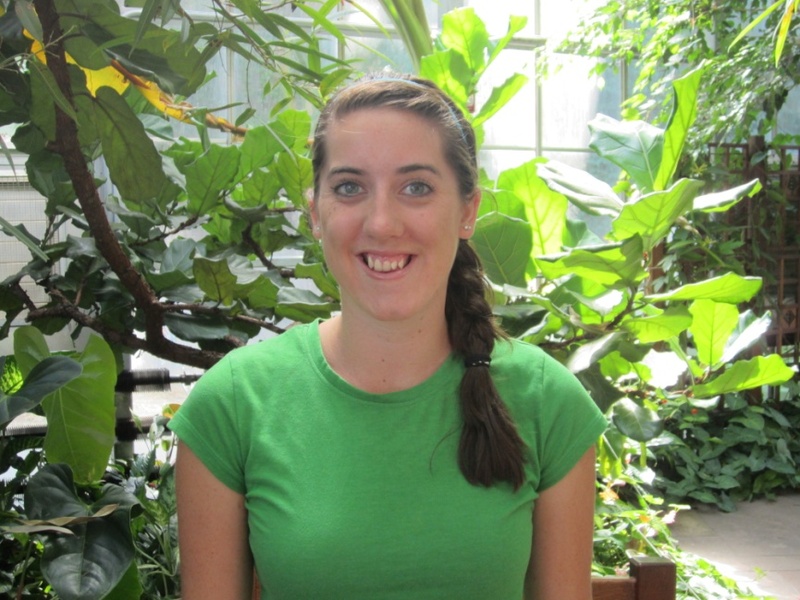 Lauren and Irwin’s work has implications for breeding, seed production, and many other aspects of horticulture. We are very excited about this project! The Ira and Ineva Reilly Baldwin Wisconsin Idea Endowment is a competitive grant program that is designed to foster public engagement and advance the Wisconsin Idea. Park Falls, located in the Flambeau river valley, is home to approximately two thousand four hundred Wisconsin residents, including more than one thousand elementary, middle and high school students. Recent surveys highlight the need for a focus on healthy eating and renewable resources. 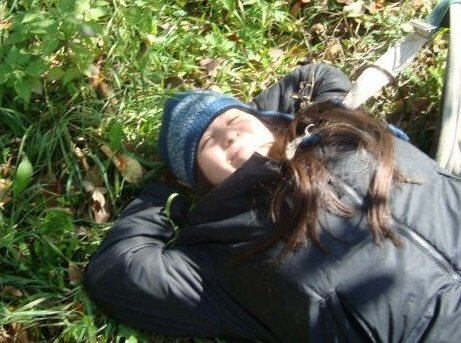 A partnership between Flambeau River Papers (FRP), local schools, and the University of Wisconsin has the potential to improve the health, environmental behavior, and environmental education of Park Falls’ residents and develop a sustainable and educational facility complementing many of the local food needs of residents. 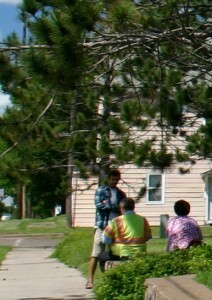 This project, to construct a greenhouse that would serve as a community-growing center and backbone for a wellness program, originated as a result of discussions based on FRP engineer Dave Wagner’s identification of several instances of steam waste within factory operations and Nurse Practitioner Tracey Snyder’s (Marshfield Clinic) in-depth health assessment of general health and food habits of mill employees. 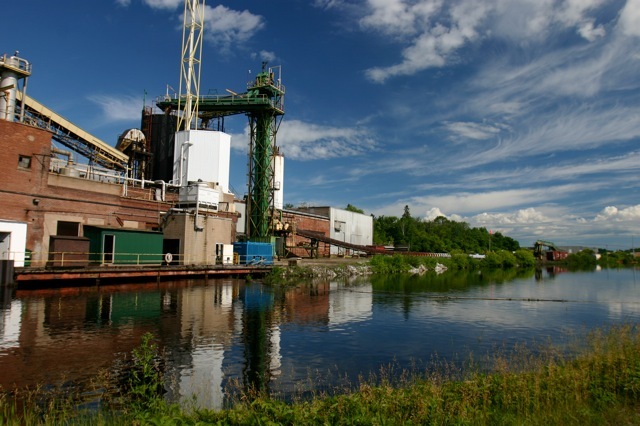 FRP would provide year-round energy from the mill’s steam waste and recycling of wood wastes, thus providing sustainable energy efficient sources for maintenance of this Community Growing Center. 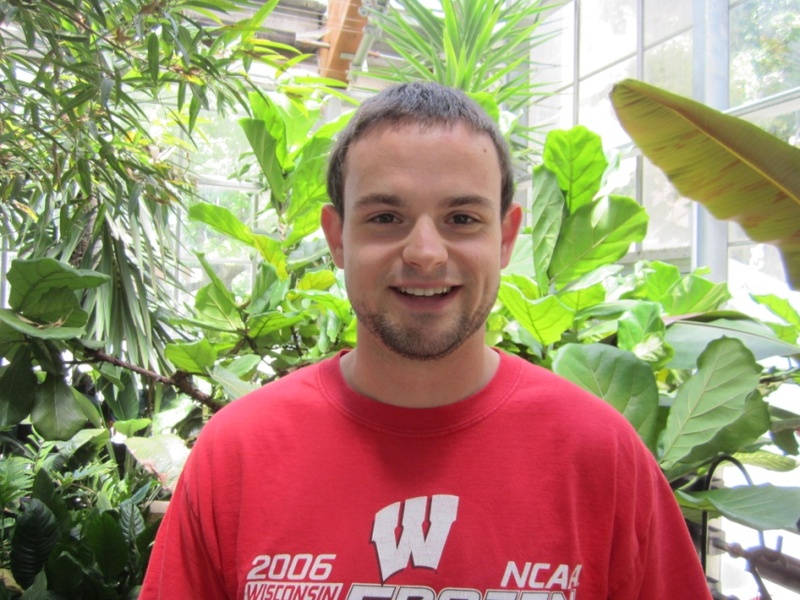 UW Madison will provide leadership in selection and development of sustainable crops and educational outreach programs to the local schools and extended community. Ideally, we envision creating a means to empower the community through education and relationship building while improving health and reconnecting citizens with the Earth. 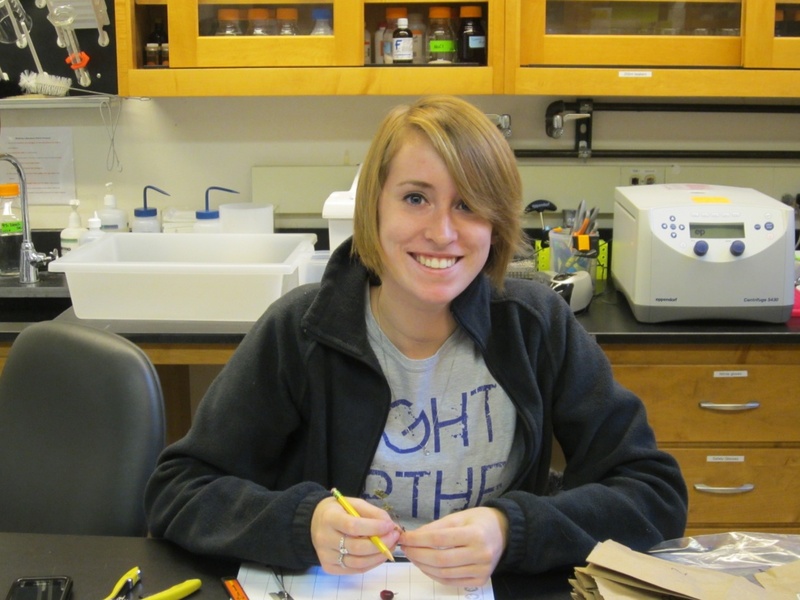 The McNair Program is dedicated to preparing low-income, first-generation, and underrepresented undergraduate students for graduate education leading to a Ph.D.
Cranberry has become a regionally important small fruit crop in the United States. 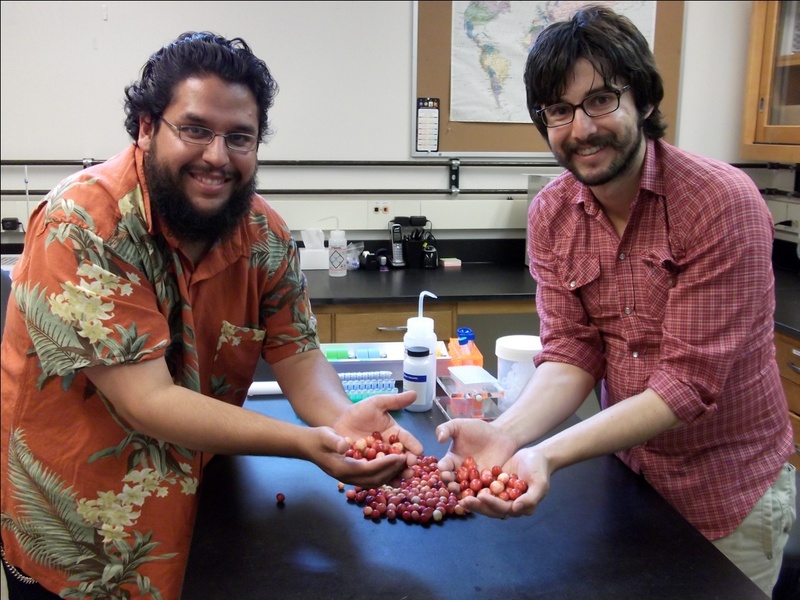 Despite its importance there is a lacks of substantial research on cranberry morphology and related species. 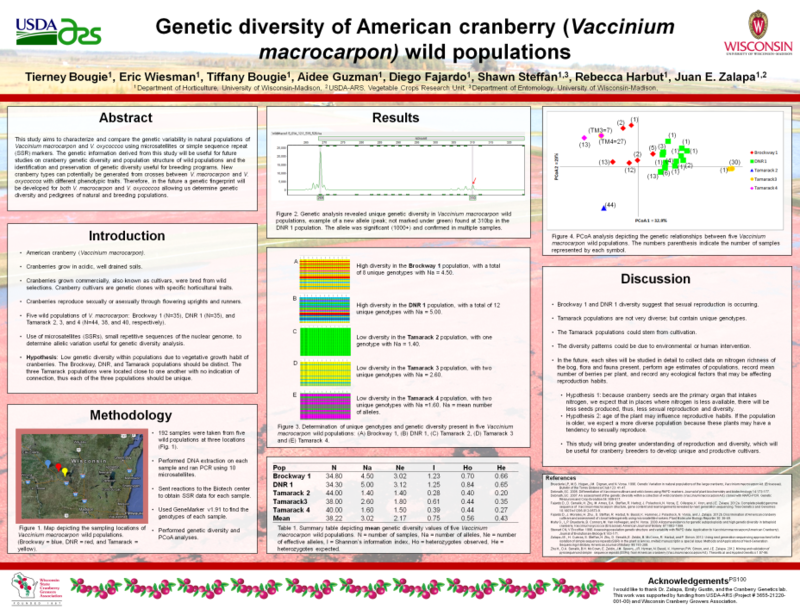 This study aims to describe the fruit shape variation of progeny of two cultivars of cranberry (Vaccinium macrocarpon Ait.) using statistical analysis of qualitative and quantitative data. Fruit shape of cranberry was measured for 72 progeny lines and their parents, Mullica Queen and Stevens, for 2011 and 2012. Significant differences were found among the progeny and the parents providing information for future research and cranberry breeding. 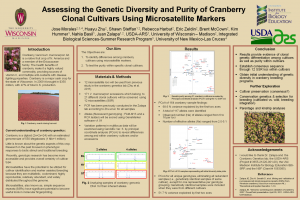 Valuable information for potential fruit shape correlations of qualitative and quantitative data was determined, which provides a critical outlook for future morphological study of cranberry and other fruit crops. 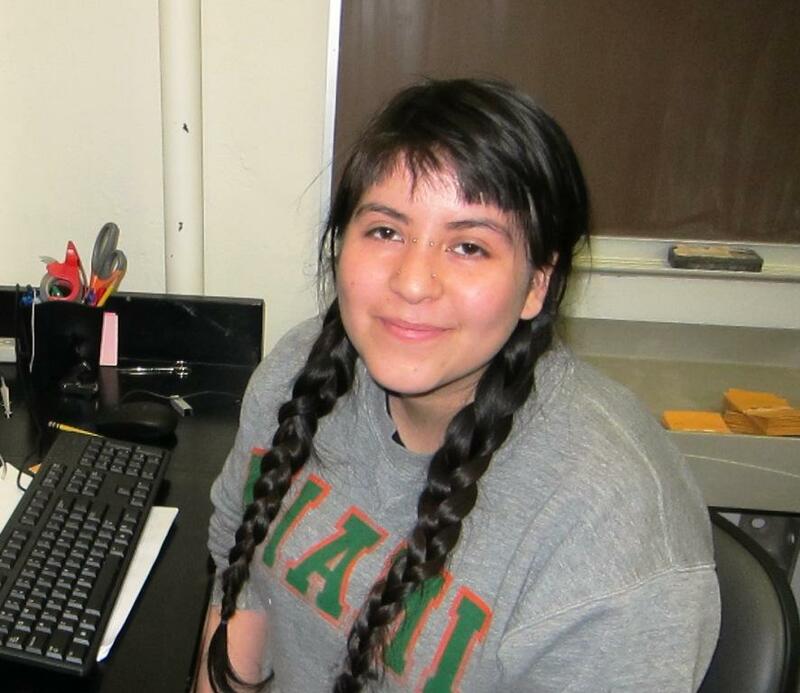 The goal of YAP and PEOPLE pre-college program is to expose high school student to areas of science and research they may have limited experience, but that they want to explore. 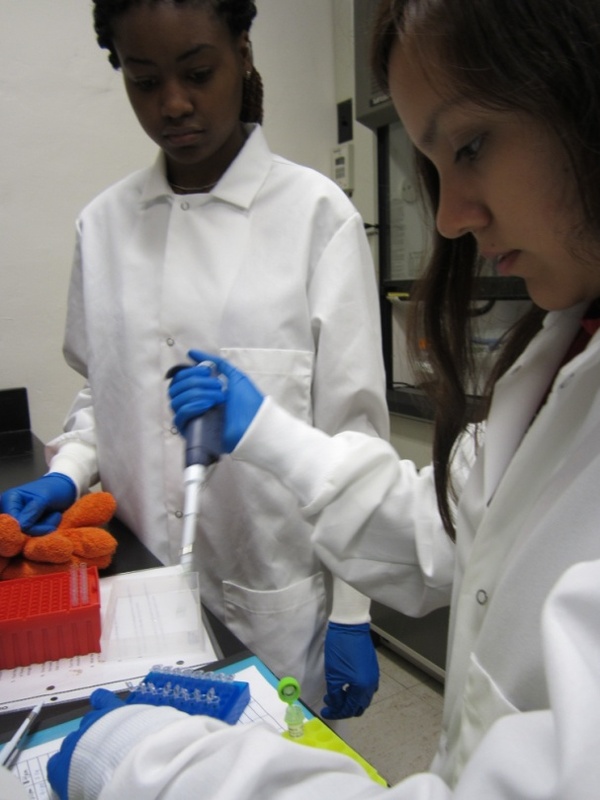 Diaman and Wendy learned basic genetic concepts and techniques such as DNA extraction, PCR, DNA sequencing, and genetic marker development while participating in research at the Cranberry Genetics and Genomics Laboratory. 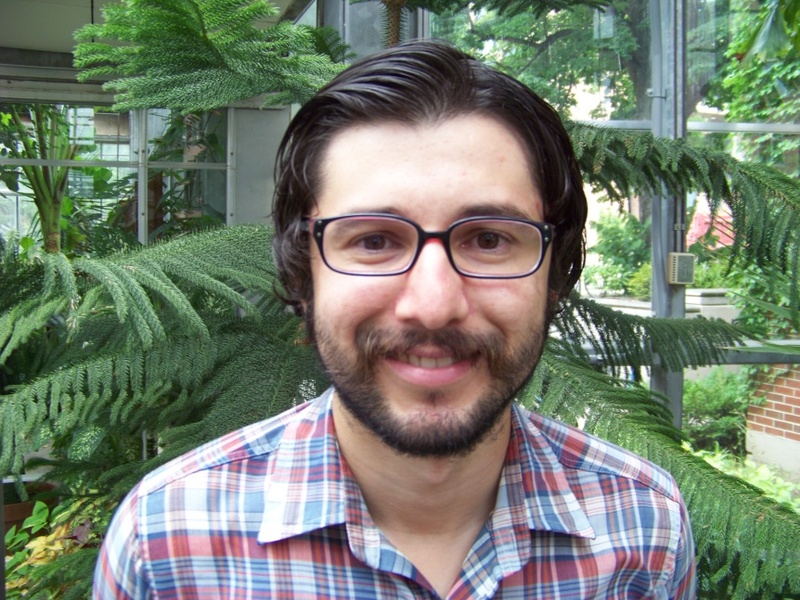 They worked under Brandon’s supervision on a project of direct interest to Wisconsin Cranberry Growers by developing an affordable and high-throughput multiplexed approach for fingerprinting cranberry cultivars using microsatellite markers by utilizing combinations of fluorescent dyes. This set of genetic markers will be used to assess the genetic purity and homogeneity of cranberry beds and will be made available as a service for commercial cranberry growers in the future. 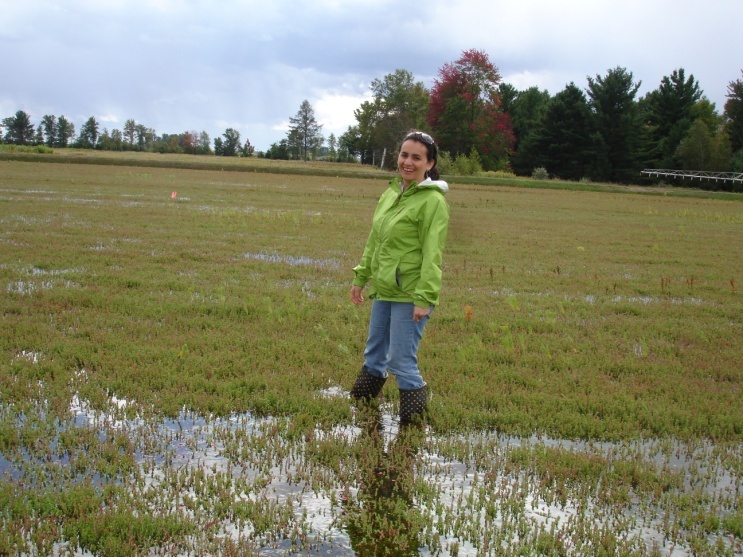 This project is of particular importance because it has been noted that cranberry beds which are not genetically pure (i.e., they contain contaminated genotypes) often produce lower yields than genetically pure beds. The American Cranberry has gained popularity for consumption due to its antioxidant properties provided by anthocyanins, its organic acid content, and flavor. 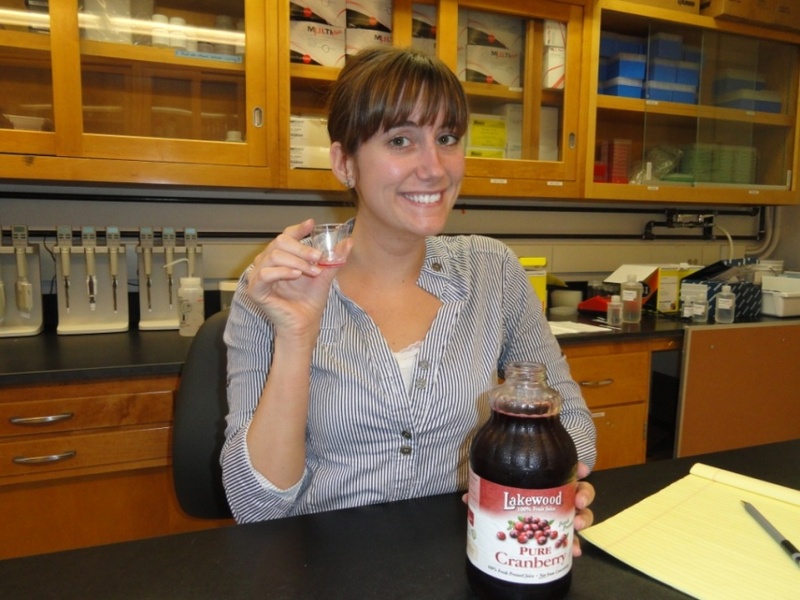 The purpose of this research was to analyze the anthocyanins (TAcy), Brix (soluble solids), and titratable acidity (TA) content in cranberries. In the first part of this study, correlations were determined between these traits using two years of data gathered on fruits from the offspring of two crosses between commercial cranberry cultivars. It was determined that there is a significant and positive correlation between Brix and TAcy, and Brix and TA, using a p-value of 0.05. By means of LSD tests and qualitative analysis, five high performing cultivars and five low performing cultivars in each of the two populations were determined. In the second part of this study, TAcy, Brix, and TA were analyzed in the fruits of Wisconsin grown commercial cultivars, Stevens, GH1, and HyRed. The information derived from this study on TAcy, TA, and Brix in various cranberry cultivars, including knowledge on how these compounds’ levels correlate, as well as the determination of high performing cultivars will be useful in future cranberry breeding. Click on the poster below to see research results. This study aims to characterize and compare the genetic variability in natural populations of Vaccinium macrocarpon and V. oxycoccos using microsatellites or simple sequence repeat (SSR) markers. The genetic information derived from this study will be useful for future studies on cranberry genetic diversity and population structure of wild populations and the identification and preservation of genetic diversity useful for breeding programs. 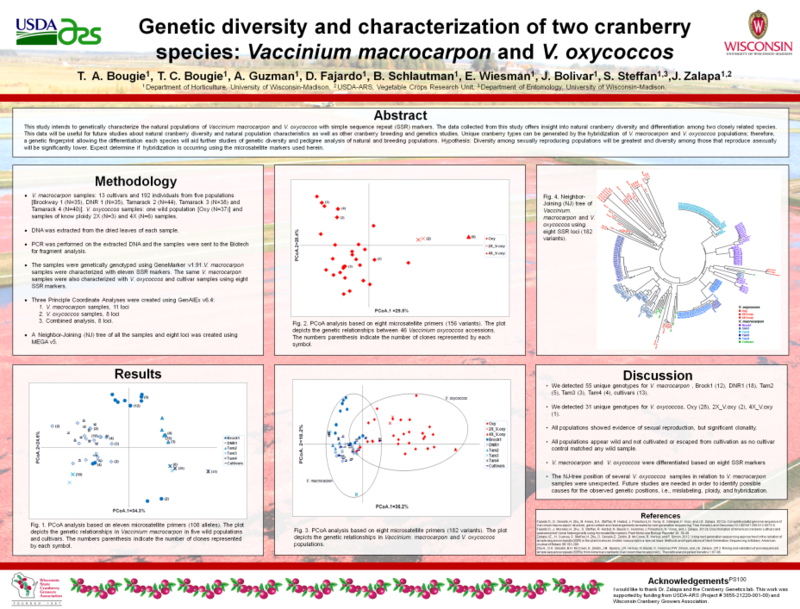 New cranberry types can potentially be generated from crosses between V. macrocarpon and V. oxycoccos with different phenotypic traits. Therefore, in the future a genetic fingerprint will be developed for both V. macrocarpon and V. oxycoccos allowing us determine genetic diversity and pedigrees of natural and breeding populations. Click on the posters below to see research results. 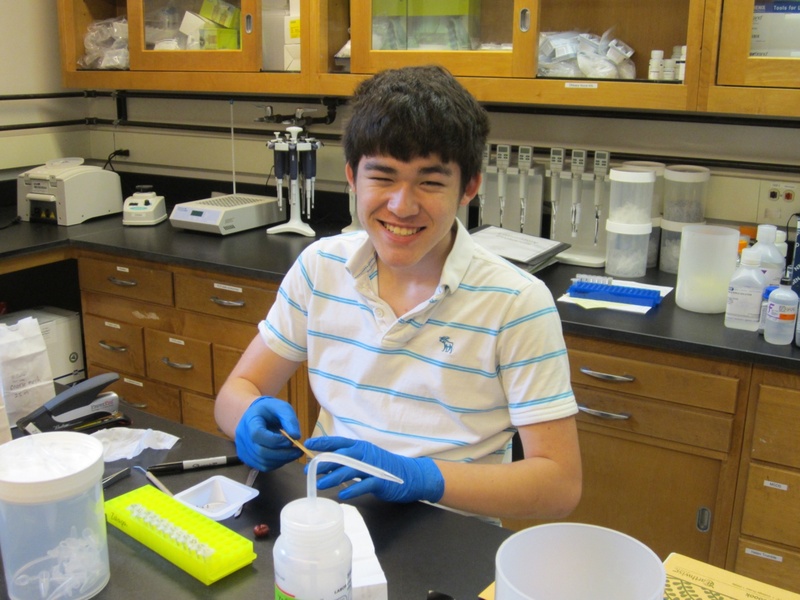 IBS-SRP is a hands-on research program is designed primarily to give students from other colleges and universities a chance to experience the richness of research at UW–Madison. 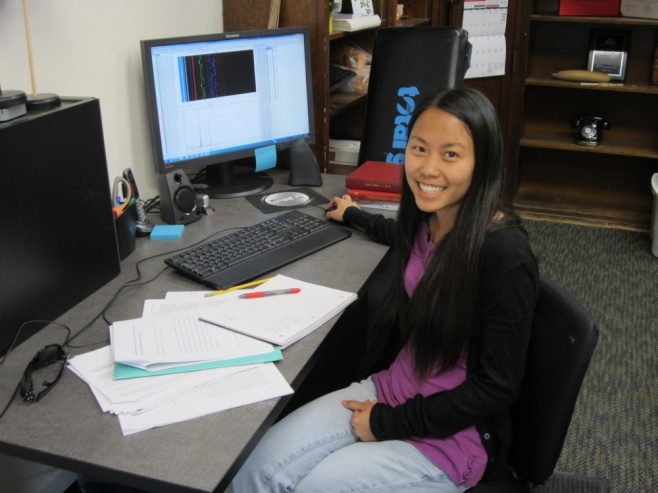 As part of the program, students do full-time research for 10 weeks with a faculty member in one of eight disciplinary areas. The popularity of the well-known home remedy ingredient cranberry (Vaccinium macrocarpon Aiton) has been growing in the past few decades. Previous crosses of cranberry cultivars have produced advantageous offspring; therefore, the objective of this study was to determine the genetic fingerprinting and identify the true parents from the pedigrees of cultivars in order to assist in the process of developing new and desirable cultivars. A set of 12 simple sequence repeat (SSR) markers was used to characterize 280 accessions across 54 cultivars from the National Clonal Germplasm Repository (NCGR) by using fluorescent primers in polymerase chain reaction (PCR). 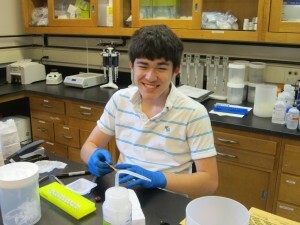 Amplified fragments were separated by size and the resultant alleles were scored. We expected that within a cultivar, the alleles of each accession would be identical, and across cultivars, alleles of different accessions would differ. 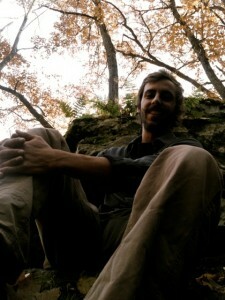 Many discrepancies were found therefore not all of the pedigrees could be established. However, comparison to previously defined consensus genotypes showed that accessions of the same cultivar were often grouped together near the consensus genotype, suggesting that some V. macrocarpon cultivars are gene pools rather than pure genotypes. This finding suggests a need to change the approach used to determine pedigrees. Figure: PCoA of cultivars with consensus genotypes. Red, italicized labels indicate cultivars that were probably mislabeled. Superscripts indicate the number of the genotype. 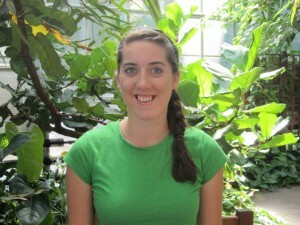 Emily Gustin, USDA-ARS Technician, Department of Horticulture, University of Wisconsin-Madison. Cranberry, Vaccinium macrocarpon Ait., is a native fruit crop of North America and a member of the Ericaceae family. The delicious tangy cranberry is associated with health benefits due to its abundant phytochemicals, including vitamin C, manganese, and anti-oxidants. Cranberries are major cash crop for the state of Wisconsin with $350 million in crop value for 2009. In the same year, Wisconsin produced 47% of the total U.S. cranberry production. There is an opportunity to develop educational tools in cranberry to help connect a wide range of public audiences with UW-Madison’s six faculty members, whom are passionately involved in the eclectic areas of research of this power fruit. Such tools will promote general knowledge of the delicious flavor and disease fighting properties of cranberries as well knowledge regarding breeding, genetics, pathology, entomology, physiology, and weed science. Along with the faculty members, 400 Wisconsin growers could benefit from an opportunity to promote the consumption cranberries by using outreach materials designed to make a connection between the general public and the rich history and culture of the industry. 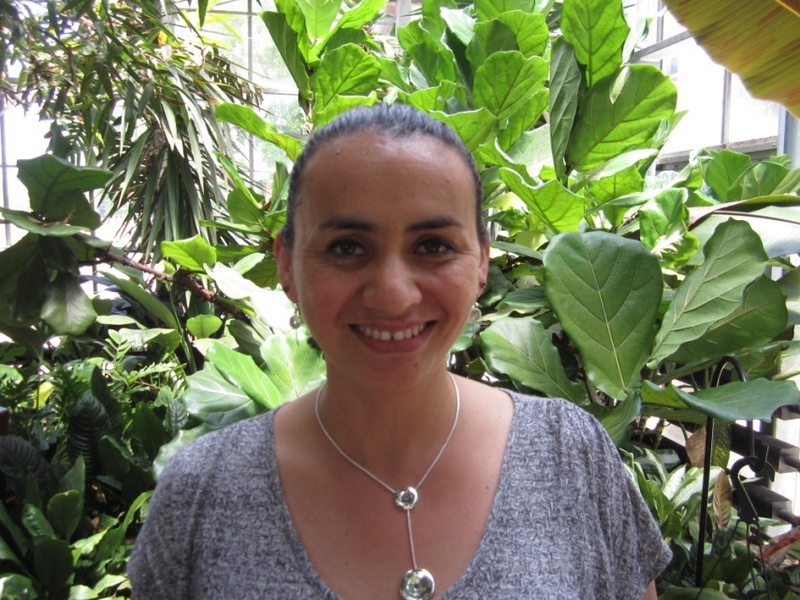 Thus, the aim of this project is to develop simple outreach activities and tools focused on cranberries that will be used by researchers and growers to instruct and engage a wide range of the general public. The public will be able to gain knowledge of cranberries through the compilation of media types, information worksheets, games, and hands-on science activities that will be readily accessible to researchers and growers. 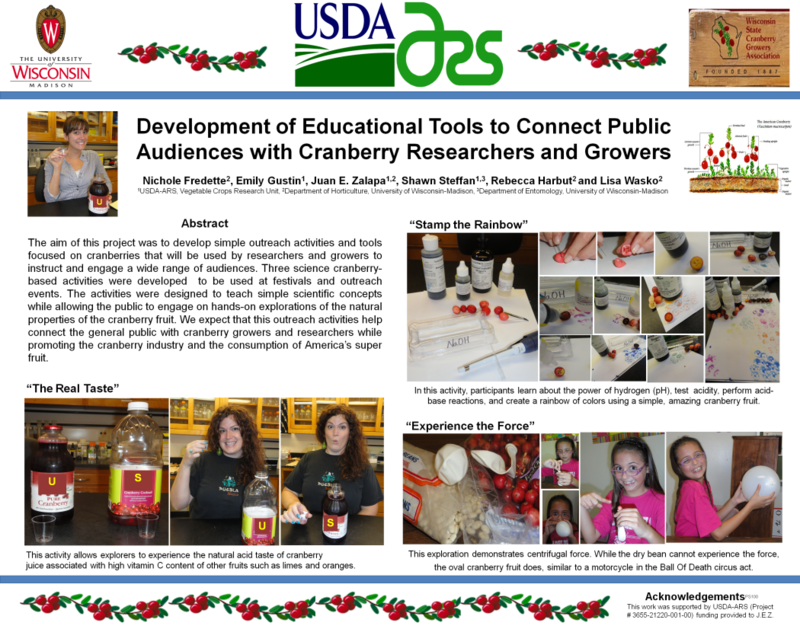 This compilation of information will be easily disseminated in the many science fairs, cranberry festivals, and other outreach venues that occur throughout communities in the state. 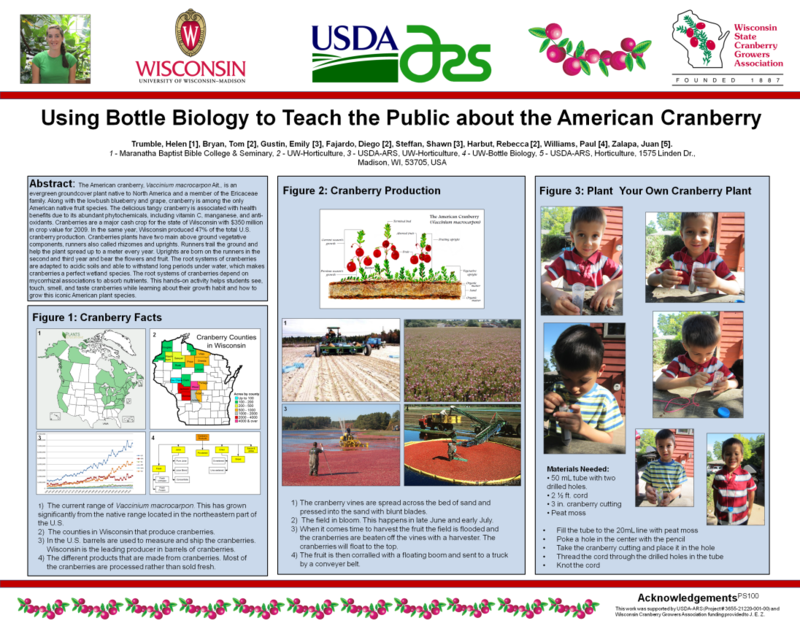 Developing outreach tools in cranberry will help propagate knowledge of an iconic American crop in terms of historic, cultural, and economical value and unique biological characteristics that make this small fruit “Wisconsin’s crantastic super fruit.”Click on the posters below to view results. Cranberries (Vaccinium macrocarpon Ait.) are an economically important perennial fruit crop in North America. We report the development of a preliminary analysis employing 12 cranberry simple sequence repeats (SSR) or microsatellite markers used to study 171 samples of widely used cranberry cultivars, new hybrid cultivars, hybrids in development, and wild accessions. Overall, the markers were very useful to differentiate within and among cultivars. Genetic profiles also indicate that the development of an efficient assay using fluorescently labeled multiplexed SSRs is a feasible option using these loci. Our genetic clustering by principal coordinate (PCoA) analysis clearly differentiated most of the major cranberry cultivars tested. However, some within cranberry cultivar variants were observed. Although additional studies will need to be conducted to confirm the genetic profiles and relationships described herein, it was possible to reach a genetic consensus for several cranberry cultivars using our data set. This is the initial study in a series of studies dedicated to understanding the genetic diversity in cranberry. 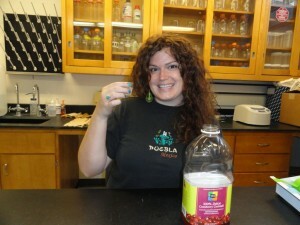 The long-term goal of these studies is to preserve and utilize unique genetic materials to breed a more efficient and resilient cranberry crop. Attaining these goals will help growers maintain a greater degree of sustainable practices under changing economic and environmental conditions.